Olivia & Co., a modern-day bistro, originally based in Singapore, and serving original creations that showcase both comforting and exciting flavors from around the world, is opening its 2nd branch at S Maison, SM MOA Complex, today, January 8, 2018! 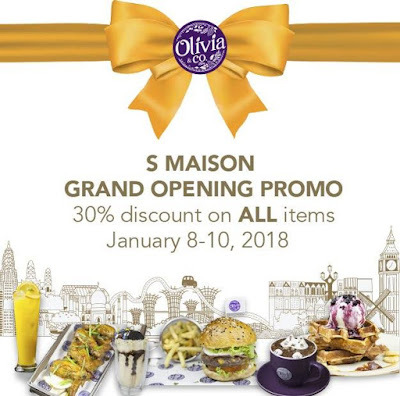 As an opening promo, they are offering 30% discount on ALL items from January 8-10, 2018. Valid at S Maison branch only. View a full list of their menu HERE!